For the first time in eight years Syria's President Bashar al-Assad has made his first public visit to Iran, meeting Supreme Leader Ayatollah Ali Khamenei in Tehran on Monday and cementing their alliance while claiming joint victory in the war, state media reported. Before this week Assad had only visited Russia since the war began, and last traveled to Tehran in 2010, just before conflict began in Syria. 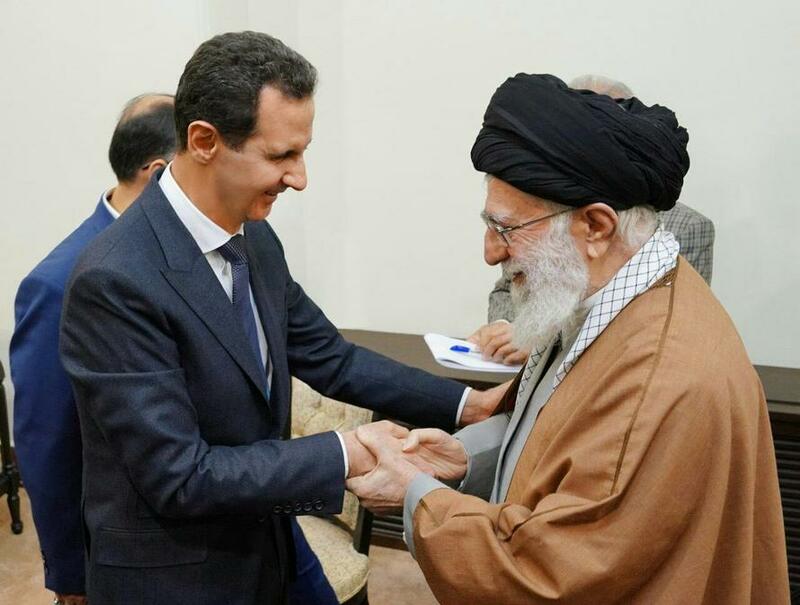 Assad and Khamenei in Tehran on Monday, via state media sources. Assad and Khamenei were shown smiling and embracing on Syrian and Iranian state television and vowed “to continue cooperation at all levels for the interests of the two friendly nations,” according to official press releases. They also used the opportunity to declare military victory in the Syrian proxy war raging since 2011, which pit a foreign-backed jihadist insurgency against the Iran and Russian aligned secular Baathist government in Damascus. Khamenei said the Syrian-Iranian military alliance had dealt “a harsh blow” to US plans in the region, which involved empowering Gulf-aligned Sunni forces seeking to topple the Syrian state, and thus remove a key ally of both Tehran and Hezbollah. Also greeting Assad during a televised ceremony on Monday was Major General Qassem Soleimani, the head of Iran’s elite Quds Force of the the Iranian Revolutionary Guard Corps (IRGC). Both Sunni insurgents in Syria and Israel have vowed to defeat Iran's presence in Syria, and were enraged when Gen. Solemani made recent appearances on the Syrian battlefield. He has appeared on frontlines across Syria, where his presence has infuriated Sunni-led insurgents who oppose what they view as Shi’ite Iranian expansion in the region. Khamenei referenced Iran's prime regional enemy, Israel, in saying, “The Islamic Republic of Iran sees helping Syria’s government and nation as support for the resistance movement (against Israel) and is deeply proud of doing it,” according to state media. Meanwhile Assad was hailed as a hero of the same "resistance" which includes pro-Shia forces such as Hezbollah by state media. In remarks given by President Hassan Rouhani, it was further stated that Iran would help rebuild Syria and ultimately restore stability to country. 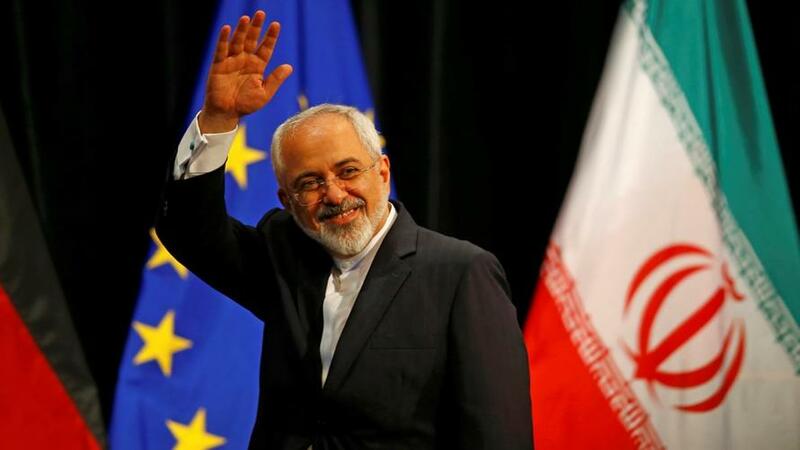 But noticeably absent from Monday's official state meetings involving Khamenie, Suleimani, and President Rouhani with Assad was Iranian Foreign Minister Zarif, considered the father of the nuclear deal. Shortly after news of Assad's visit broke Zarif announced his resignation via his official Instagram page, followed by confirmation in state media source IRNA news. Iranian Foreign Minister Mohammad Javad Zarif resigned Monday. Image source: Reuters. "I am apologizing to you for all the shortcomings... in the past years during my time as foreign minister... I thank the Iranian nation and officials," he wrote on his Instagram page jzarif_ir. No immediate reason was given for what prompted Zarif's resignation, but the timing of Assad's first state visit corresponding with the high level resignation is certainly related, though for now only a matter of speculation.